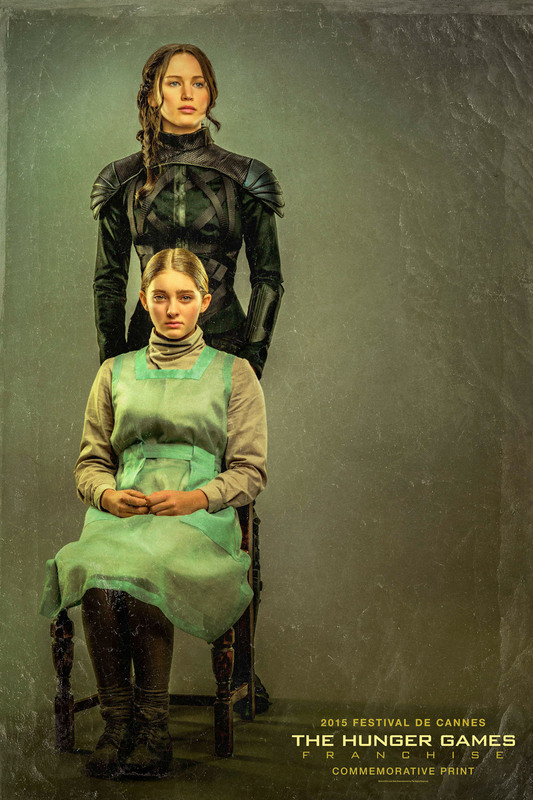 “The Sister Portrait” from Tim Palen: Photographs From The Hunger Games will premiere at Cannes Film Festival this week in honor of The Hunger Games Franchise. We’re still about six months away from The Hunger Games: Mockingjay Part 2‘s theatrical release, but I know fellow Tributes will agree it’s never to early to begging/wishing/hoping for some teasers! We already got a first look at the official logo and teaser poster (alongside Insurgent), and thankfully, there are more THG goodies around the corner! Lionsgate’s Chief Marketing Officer (and award-winning fine-art photographer) Tim Palen has put together a collection of never-before-seen photos from the first three THG films. The book includes Palen’s portraits of the entire Hunger Games cast, from Effie Trinket (Elizabeth Banks) in her most elaborate costumes to iconic images of Katniss (Jennifer Lawrence) that became the film’s poster art. These exclusive images celebrate the entire franchise and also includes a small sneak peek of The Hunger Games: Mockingjay Part 2. WOW, Katniss and Prim look so taciturn…Willow’s Prim looks particularly melancholy. With that said, the portrait is incredibly stunning. The Mockingjay and the sister she’d do anything to protect: I love it! I’m also really excited about seeing the rest of the THG portraits. Tim Palen: Photographs From The Hunger Games will be published June 29, 2015 and is now available for pre-order at assouline.com. The book will be available everywhere July 29 (e.g. AMAZON.com).